Rohingya refugees disembark at a beach in Malaysia after fleeing by boat from western Burma’s Rakhine state. “Myanmar has vowed to step up its battle against human trafficking by doing more to check the problem at home and collaborating in preventive efforts with the U.S. and its Southeast Asian neighbors. Home Affairs minister Ko Ko said the authorities would also emphasize efforts to address the rights of the victims of human trafficking, which has grown into a big problem in Myanmar’s cities in recent years. “For the process of fighting human trafficking, we need to do it by approaching and focusing on the needs and rights of the victims who are being trafficked,” the minister said last week in the capital Naypyidaw as the country marked “Anti-Human Trafficking Day” for the first time last week. “We need to work on prevention, bringing traffickers to justice and protecting and taking care of victims,” he said. He also called for Myanmar’s anti-trafficking officers to receive training so that they can collaborate with the police intelligence network both inside the country and in neighboring countries, such as Thailand and Malaysia, where many citizens emigrate to seek jobs. Human trafficking in Myanmar has become a serious problem in recent years, according to the United Nations and nongovernmental organizations, as an increasing number of people seek work abroad because of a lack of job opportunities at home. And while human trafficking largely occurred in rural areas of the country in the past, the problem is now also occurring with increasing frequency in Myanmar’s cities, they say. 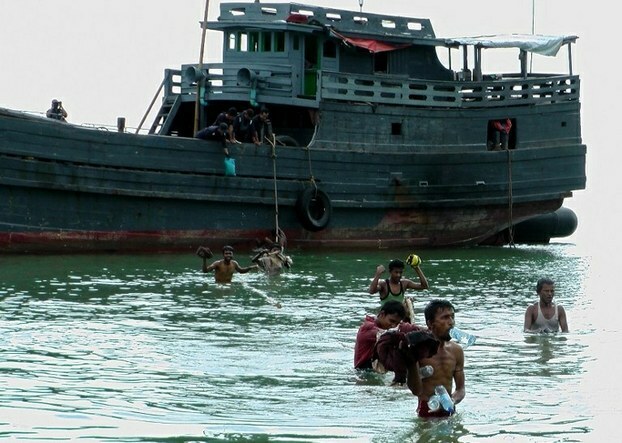 Win Naing Tun, deputy chief of Myanmar’s anti-human trafficking police corps, said that as human trafficking has worsened in the country, authorities are taking greater steps to combat the problem internationally through collaborative measures. “In the past, only the police, judicial organizations, and a few NGOs and civil society organizations were collaborating in the fight against human trafficking,” he said at last week’s event in Naypyidaw. To view the rest of the article, please click here.